Custom tube shaped magnets allow you to squeeze out competition with ease. You can employ these printed tube shaped magnets for – inviting the attention of your prospective customers or propelling your sales in a particular season. 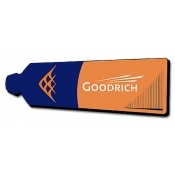 Order wholesale customized tube shaped magnets in bulk to save huge. You can get it shipped to your home anywhere in the contiguous USA FREE. Perfect for promoting any type of business. 100% made in USA and lead-free. The price you pay is what you see on the website! 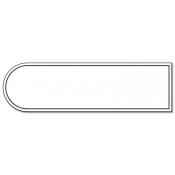 We offer few great styles of cheap customizable tube shaped magnets. Lighting services, grocery stores, high-end department stores, cosmetic outlets, pharmaceuticals, and others can easily benefit from these custom refrigerator magnets printed with their brand logo, graphic and contact information. Perfect for gifting during regular business days or during tradeshows, business conventions, etc. Investing in this magnet is a great way of making your business accessible to everyone near and far. People would easily retain these printed refrigerator magnets over their refrigerator door, work cabinets, vending machines and many other metal surfaces within the home. Whenever people require your contact information or wish to refer to swell with pride on thinking about their right choice, they would exactly know where to look. Although small, these magnets score over many regular marketing materials such as flyers, notices, and business cards in many ways. These tube shaped magnets ensure that your business information is taken seriously. This one time investment is sure to bring you lifelong achievements! Take the road towards success by indulging with these custom tube shaped magnets. To know more about them, please feel free to call us at 855-762-4638 or mail us at info@Cmagnets.com.